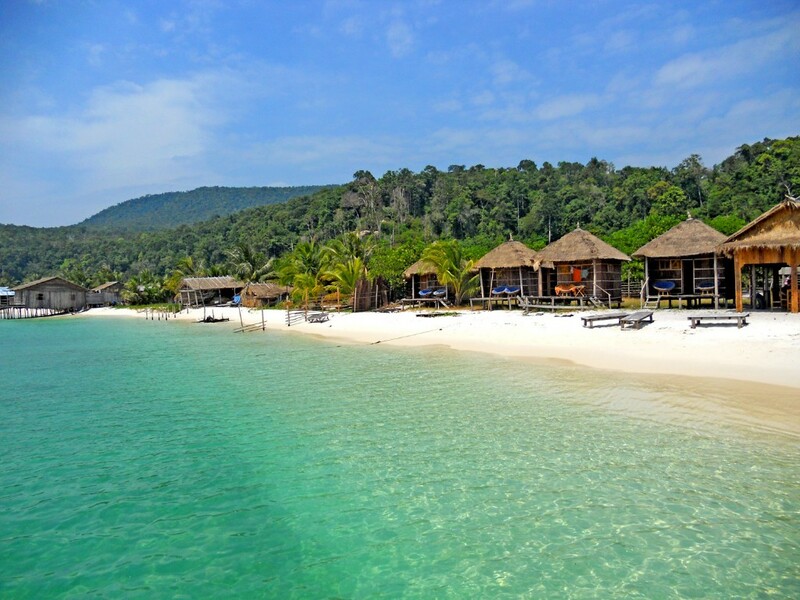 Koh Rong, is the second largest island of Cambodia. The word Rongmight refer to an old term for cave or tunnel, although some islanders say Rong refers to a historical person's name. It can also refer to the old Khmer word for shelter, adding up to Shelter Island. Located in Commune (Sangkat) No. 5, or Sangkat Koh Rong of the Mittakpheap district in Sihanoukville Province about 25 km (16 mi) off the coast in the Gulf of Thailand, the island has an area of approximately 78 km2 (30 sq mi) and 43 km (27 mi) of its entire coastline of 61 km (38 mi) are beaches. Four village communities exist on the island: Koh Tuich, Doeum D'keuw, Prek Svay and Sok San. In recent years the island has become home to an increasing but still moderate number of foreign-run guesthouses and bungalow resorts. As the island's South-Eastern tip around Koh Tuich Village is the point of arrival it has developed into the island's largest settlement center. In absence of even the most basic infrastructure, transport by boat is required to all settlements and holiday resorts, which are scattered over the many beaches. Koh Rong island is a relatively new commune, only established in 2000. 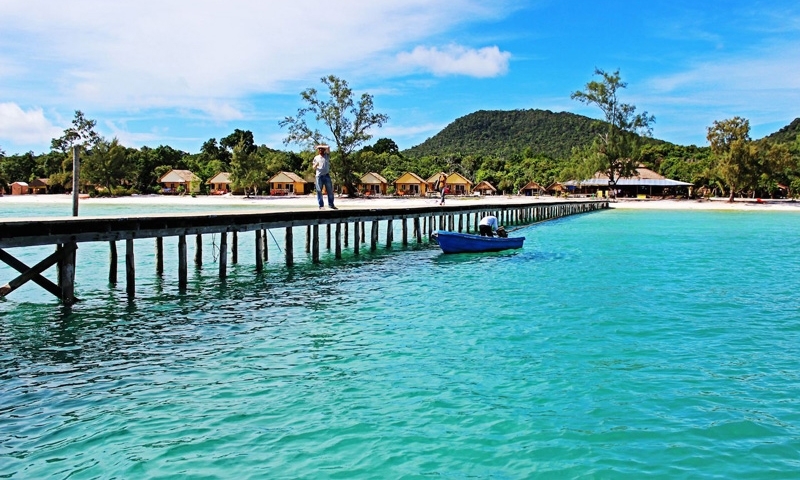 In order to boost development, Koh Rong has had a land concession issued by the Cambodian government. A Cambodian consortium, the Royal Group has been granted a 99-year lease. In 2008 it revealed plans to build "Asia's first environmentally planned resort island.